This book deals with the historical development of the Albanian language from prehistoric times to our days. The main focus of the book is the reconstruction of Proto-Albanian, the analysis of its relations to its ancestor, Indo-European, and its further change leading to Albanian in its present form. 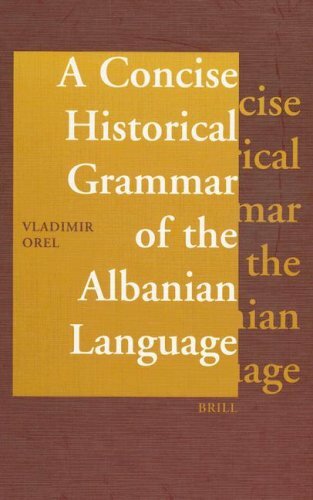 The volume contains a detailed description of historical phonetics and morphology of Albanian. The reader will also find important data on the Albanian vocabulary in its historical development. Together with the author's Albanian Etymological Dictionary, the present book makes a powerful research tool important for Albanologists, Balkanologists and historical linguists. View More In Interior Design. If you have any questions about this product by Brill, contact us by completing and submitting the form below. If you are looking for a specif part number, please include it with your message.